The Myron D. Webster haversack in the collection of the Connecticut Historical Society is an example of a typical Civil War soldier’s gear. It includes personal belongings which include military-issued items and things he brought from home. What are the needs of soldiers during war? Who provides supplies to meet soldiers’ needs? How did civilians participate in the war effort? Myron D. Webster’s gear from his service in the Civil War – Connecticut Historical Society. The Myron D. Webster collection is an example of a typical Civil War soldier’s gear. It includes personal belongings which include military-issued items and things he brought from home. Blankets Are Wanted for the Army! broadside, ca. 1860 – 1869 – Connecticut Historical Society. 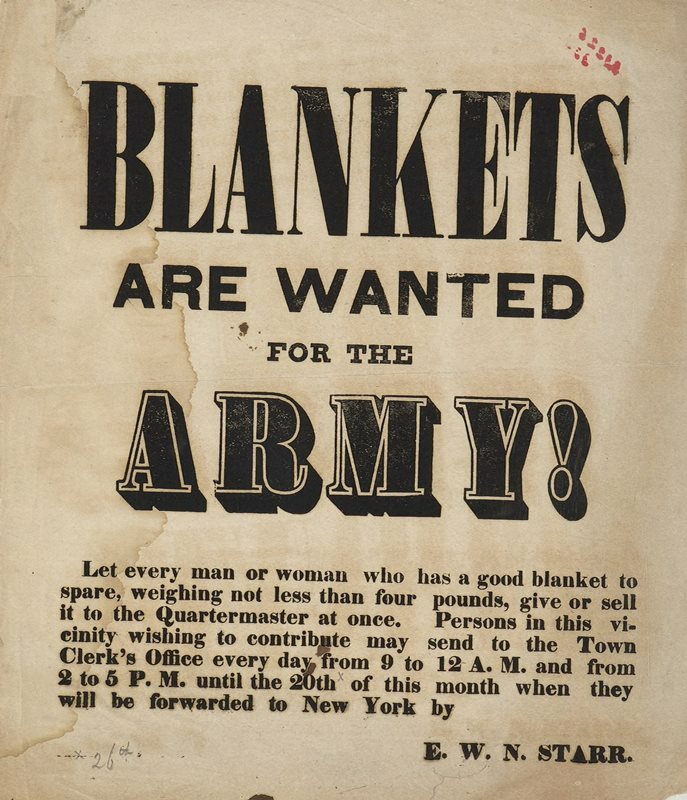 The Starr broadside solicits blankets from the home front to be used by Union soldiers and shows the need for civilian support during the war. Students should examine artifacts belonging to Myron D. Webster from the Connecticut Historical Society. What are the different items in the picture? Who might use these items? When might the items have been used? What were the items used for? 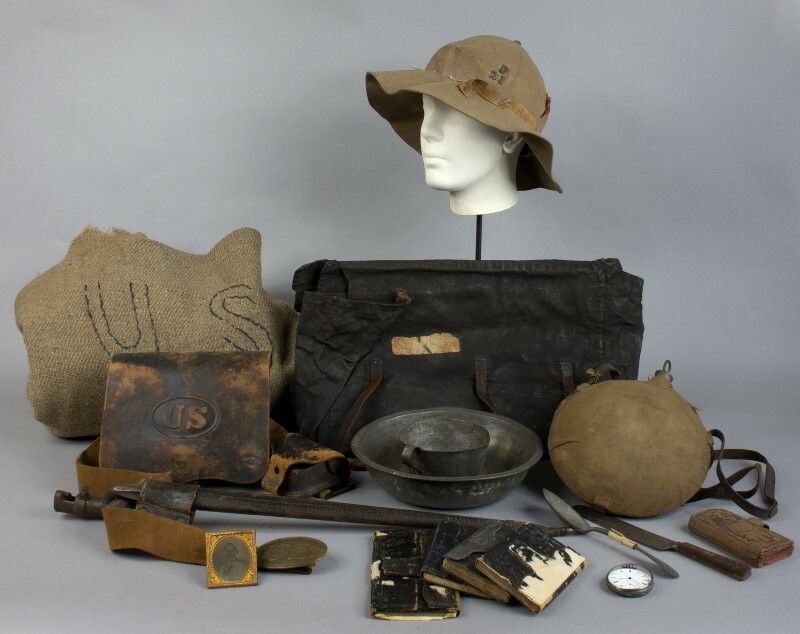 Based on these artifacts, what were the needs of a solider during the Civil War? Where did the items come from and how do you know? Students will read the broadside and answer the following questions. Who are they writing to? After examining the broadside, what does this artifact tell you about what was expected of the civilian population during the Civil War? What is the relationship between civilians and the military today, and how have their roles changed or stayed the same? Students will share their specific evidence in response to the compelling question. Have students research and identify the needs of soldiers today. Students will organize a supply drive. ConnecticutHistory.org: “Bridgeport Women Answer the Call” by Shirley T. Wajda. Connecticut Historical Society: “Had a touch of the chills and fever” by Richard Malley.